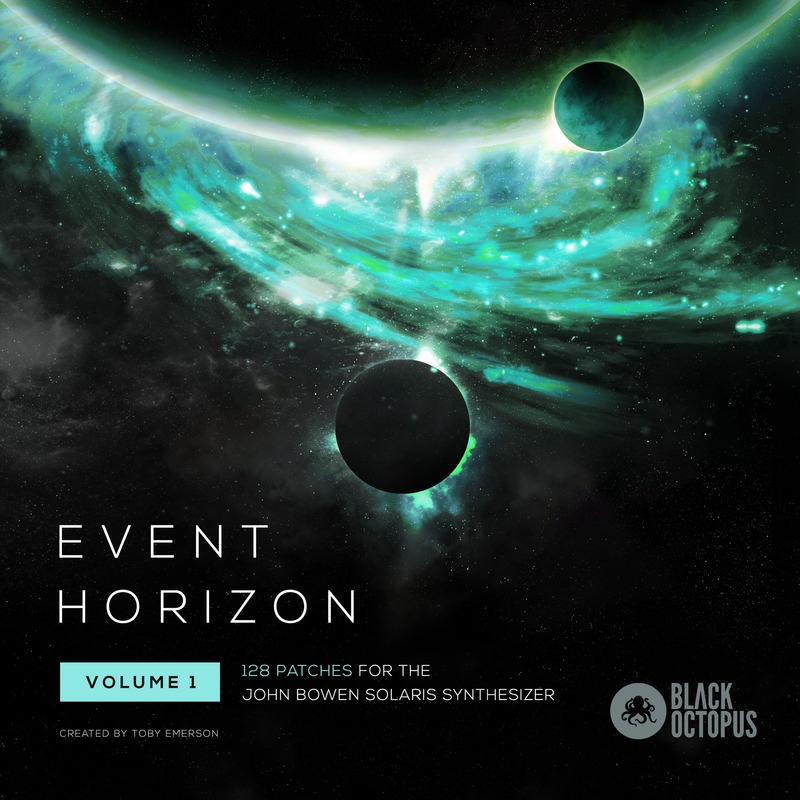 Black Octopus Sound presets Event Horizon – 128 high quality presets for John Bowen Solaris created by Toby Emerson. This soundset offers everything from huge epic pads, long evolving textures, vintage analog style sounds, deep thundering basses, and many other classic leads and keyboard style sounds. The Solaris is an exquisite machine capable of producing some amazing sounds from vintage analog to modern and digital sounds. All patches are mapped with the joystick controlling the filters. They are best auditioned by leaving the joystick in the middle position and then adjusting it to taste. I have spent several months creating these patches for the Solaris users and offer them as a free download. However if you feel like they are of value to you I would love a donation or please pick up one of our sample packs as a way to say thanks and to support the creation of future sounds. Load the sounds into desired Bank folder on your CF Card. Note the above demo uses some reverb from Valhalla DSP and a small amount of extra compression.